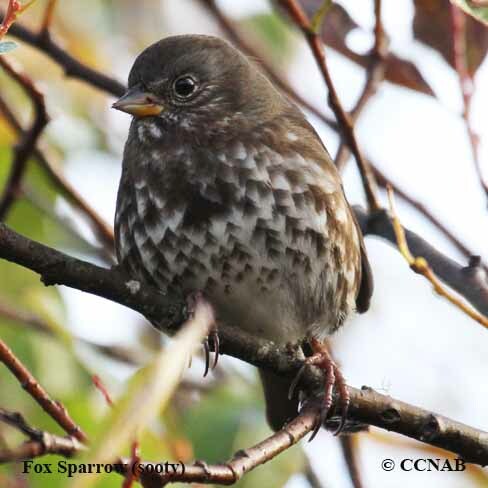 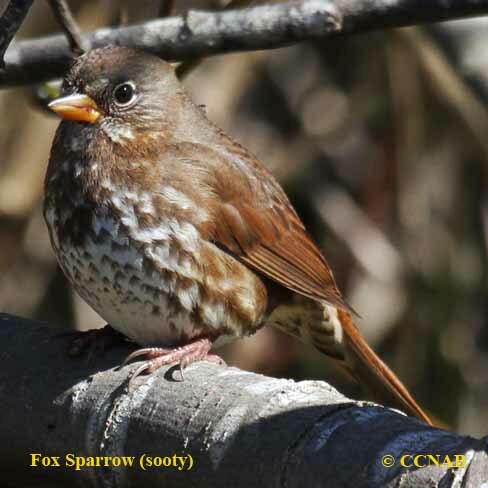 The Fox Sparrow (sooty) is one of the four sub-species of the Fox Sparrow family. 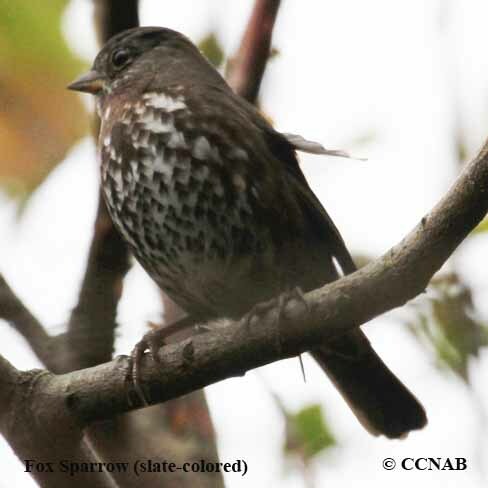 This medium colored to dark brown sparrow can be recognized by its yellow beak. 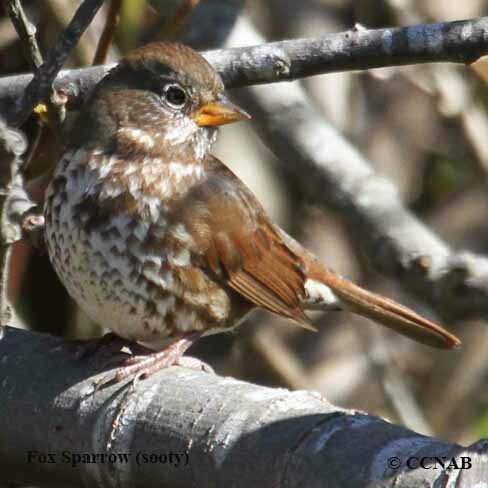 It is seen along the western coastlines from Alaska, south through British Columbia, all the way into California, depending the the time of the year. 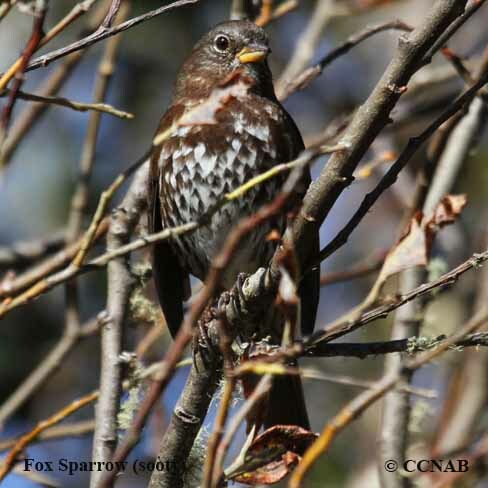 It is mostly likey to be found on the western side of the Rocky Mountains.